I’d like to dedicate this blog post to my midwives, because they simply rock the casbah, on so many levels. I have a good friend who is a doctor, married to a doctor. We once had a long discussion about midwives, because he confessed that he was worried about the anxiety he and his wife would feel when they decided to start a family; they know too much, and have seen too many nightmarish situations. I can see, in retrospect, that this was maybe a silly thing to say to a doctor. Still, I’d like to think that our conversation was somewhat enlightening (for him), because he was full of misconceptions about midwives. Actually, it was enlightening for me too; I appreciated hearing his perspective, because I’d had no idea what it’s like on the medicine end. He got some of his feeling about midwives from personal experience. The midwives he’s been in contact with have fit a certain granola-hippie stereotype (Birkenstocks, hairy legs, patchouli, blah blah) that some would consider “unprofessional”… but more importantly, they are apparently militant to the point of obnoxiousness in the hospital setting. I’m told that they yell at doctors to get out of the room… They hate doctors and rail against them… They don’t remotely attempt to foster good relations. And then, if a birth goes terribly wrong, who gets to fix things and clean up the mess? The doctors. So basically, the belief is that midwives get all the easy births (because they are only allowed to work with low-risk pregnancies) and they get paid the same amount for less work. AND they don’t even have a College (like the College of Physicians in Ontario, keeping doctors accountable). Luckily, we were Skyping so I was on my computer. I was able to Google-and-rebut. Hippie midwives. First of all, I have never met a midwife who fits – at all – the stereotype mentioned above, despite living in a city with a high “granola” factor. (Okay, there is one on my team who wears Birkenstocks… but as a woman with weird-shaped feet, I’m all for comfortable shoes. We should all be taking better care of our feet. Amen.) I’m sure some exist, but they’re not the norm. Doctor/midwife smackdown. It’s true that my midwives do not speak highly of every ob/gyn. They are always professional in terms of what they say, but I was warned about a particular doctor at our local hospital before being induced with E – one who acts like the C-section is the solution to everything. “He will probably tell you, ‘You don’t want to do all that work, let’s just operate,’ but you can say no.” Midwives know as well as anyone that there are times when a C-section is, indeed, the best option; what they can’t abide is doctors who make expectant parents feel that invasive, expensive (to taxpayers) interventions are necessary when they are not. (My labour with E was brutal, but I was still thrilled not to have my abdominal wall sliced through.) For the most part, the local midwives and doctors in my city seem to have a very functional, mutually respectful relationship going on. (If that’s all a facade, I am none the wiser.) As a mom who has had two transfer-of-care births, I’m really glad for this functionality. Their job is easy. So it may be true that midwives have the lion’s share of “easy” births. (Hey moms, let’s have a li’l chuckle at the word “easy”.) You could look at it that way. My response is: a) any job where you have to be in top form, at the last minute, at an unscheduled hour of the night, for an undetermined amount of time is NOT EASY; b) Ob/gyns are completely overloaded with patients – do they really want all these ones too? 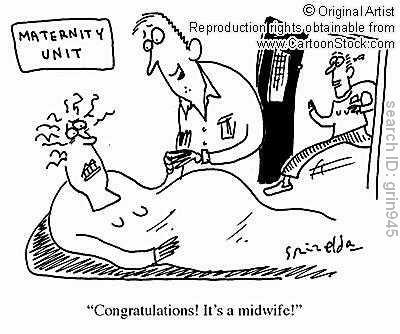 c) Midwives go above and beyond. Please see below. The $ Factor. I’ve been doing quite a bit of research, and the answer is: hells to the NO, midwives do NOT get paid the same. I checked the Public Sector Salary Disclosure, and the number of midwives in the Association of Ontario Midwives making over 100K/year is exactly… ONE. And Ontario midwives are among the best-paid; Canada-wide, the average midwife makes 65K/year. The figures I found on ob/gyn salaries, on the other hand, made my jaw drop. (Not that I’m saying they don’t earn their money – most of them absolutely do, especially because they begin their careers freakishly deep in debt. But I’m trying to set the record straight: NO ob/gyn works for 65K.) You can read here that midwife pay hasn’t gone up significantly in seven years – and before that, there was a 10-year pay freeze. That’s ridiculous, especially considering their services tend to cost the province far less. Accountability. Yep, they do have a College. They’ve had one since 1993. 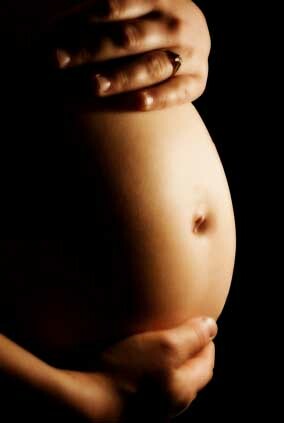 Home births. Just a word about this touchy subject (not that my doctor friend mentioned this). Lots of people think that if you have a midwife, you must give birth at home (or in a barn or something). That is not true. Of course, the situation varies depending on the hospital, but midwives have privileges in most Ontario hospitals, so are able to offer the choice. Even if you do give birth at home, it’s not like they come armed only with swaddling clothes; they bring emergency equipment and medications – plus, two of them are required to attend every birth, so that one can tend to the mother and one to the child. Both my births were planned for the hospital (which was just as well – if I had planned home births, I’d be 0 for 2), but it was reassuring to know that if I’d been unable to get to the hospital for some reason, my midwives were ready to travel, and experienced in home birthing. In a previous post, I mentioned our appointment with the ob/gyns at the out-of-town hospital, coinciding with our 12-week ultrasound. It was kind of a funny appointment. The doctor we’d gotten to know (in discussing Sebastian’s pathology) was on vacation, so we were dealing mostly with a resident. He was very nice, young, likeable, and soft-spoken. He did the EXACT same questionnaire with me that I’d done at the midwife’s office three weeks earlier. I also peed on the EXACT same brand of pee-stick. We did the physical exam, the weight, the blood pressure, the Doppler. In our conversation, he indicated that the clinic would be doing all our appointments for this pregnancy. Near the end of the appointment, an ob/gyn came in to follow up, and confirmed this. She, in contrast, was loud and abrasive, and talked as if our being here were somehow a result of us being dumb. She said they would be taking over our care, so she wasn’t sure what our midwives could really do for us. We countered that we were hoping to continue with the midwives if possible, and she was all like, “Why? Where do you want to deliver?” Well. It takes an hour to get to this hospital from our house. I would not take that ride in labour unless there were NO other choice. “So, you want your care with us to last until when? Thirty-eight weeks?” she said, in a tone as if she were boggled by our confounding indecision. I allowed myself to get a bit snippy at this point, and informed her that it was Dr. S. who had recommended “shared care”. When she told us our 16-week appointment wouldn’t involve a scan, I asked what exactly it would involve. Guess what: Doppler, blood pressure, weight, pee-stick. You want me to drive an hour – and pay for parking – for THAT. She acknowledged at this point, “Well, I guess ANYBODY could do that. You can have that appointment with your midwives, if you want.” Gee, thanks. I wonder what her marks were in empathy class. Don’t get me wrong: 5 out of the 6 ob/gyns I’ve been in contact with have been lovely, competent, professional. They work hard. They do the best they can, considering the number of patients they have. I have full respect for them. But it burned me that this woman clearly thought so little of midwives. What can my midwives do for me?? What can YOU do for me, lady? Are you going to come to my home to check me when I’ve been in labour for sixteen hours, so I don’t have to get in the car only to turn around and come home again? Are you going to attend my birth for support, even when you’re no longer in charge? 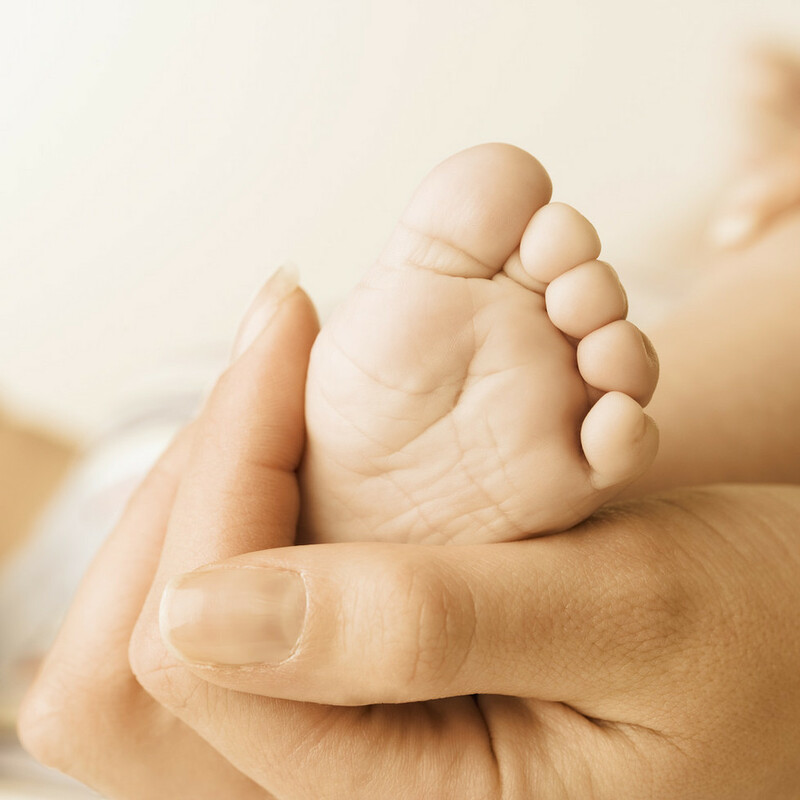 Are you going to do six weeks of post-partum care for me and my newborn? When I’m grieving my lost baby, are you going to come to my home to visit me for that post-partum care, so that I don’t have to come to the clinic and sit among the glowing, expectant moms and garden-fresh, living newborns? Are you going to have deep, empathetic conversations with me about baby loss? Because my midwives did all these things. They are AWESOME. So… I did have my 16-week appointment with my midwife – the same one who delivered my angel baby. I’ll be honest: it made my day. While completely validating my stresses and fears, this wonderful woman also managed to reassure me more than anyone else has so far. In spite of the tragedies she’s faced in her life (and there are many), positivity radiates from her. Talking matter-of-factly about this baby as a person, and referring comfortably to its arrival as a given (when for four months I’ve been catching and holding back my every assumption)… she made me remember – and even feel, for a while – the joyful, vibrant expectation that characterized my pregnancy with E. She reminded me how it felt to be truly, deep-down excited to meet my child… who is going to be fine. Aw, shucks. *blush* I love you too. For bloggers, it means you can automatically include a link to your own last post. Didn’t you also have “the joyful, vibrant expectation that characterized my pregnancy with E” with your second pregnancy, with Sebastian, as well? It didn’t turn out to have a joyous end, but the pregnancy up until you lost him was serene and happy, was it not? And would it have changed the outcome if you had been fearful and repressed and stressed? Would Sebastian still be here if you had gone through that pregnancy in that dreadful (full of dread) state? Whatever of life he had, he had joyfully. This baby deserves to have a happy, serene mother, too, and being terrified or even rather anxious won’t make his/her life better, whatever length it is. Please be happy! Please give this baby all the joyful ride you gave your other two! That’s a really good question, actually. I did have a joyful pregnancy with Sebastian, but it wasn’t quite the same. E was enough younger that I remember feeling a bit bad for unborn Sebastian, because I barely had time to think about him in there. I didn’t even open my pregnancy books, I didn’t take a mental note of everything happening to my body… and I took him much more for granted. This time, it’s almost like being back to the first time, because I feel that I know LESS what to expect. I notice everything. I think about everything. I check the internet every week to see what my baby is up to (my pregnancy books are loaned out). Would you be comfortable with me sharing this with midwives and doulas I know? PLEASE DO! They (and you!) need to know how much of a difference they make. Pingback: How to HELP prevent stretch marks? A few years ago when I was becoming a grandma for the 1st time, my son and daughter-in-law informed me that they were planning to have a home birth with midwives. To say that I was anxious is an understatement….but I respected their choice as they are both very intelligent people and would never do anything that they hadn’t researched thoroughly (and they are both teachers!). They had the most amazing and beautiful home birth without any interventions. I love your statement that the midwives don’t come “armed only with swaddling clothes”. The care that was given before, during, and for the 6 week period after was professional, compassionate, and thorough. Their second child was also born at home this past spring and again, the midwives were amazing. I continue to be inpressed by this “new” profession. Beverley, this is wonderful to hear. I have received nothing but awesome care as well, although in the hospital setting. I feel so fortunate – and I’m guessing your daughter and her family do too.